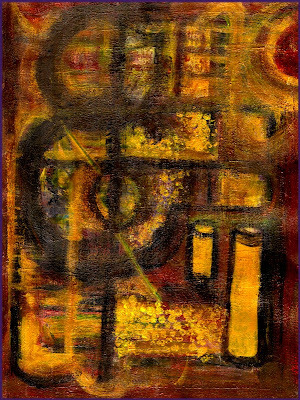 Julianne Richards: "The Colorspeaker": "Gold Rush"
This one I happened to do on paper, being that I was out of canvases. Acrylic on paper, gloss varnish. I have four canvases drying in my kitchen, of all places, they will be here soon.